52 Create, my attempt to do one creative project/week for the entire year. So far all my projects have been out of wood (and most will be too), but for this one I thought I’d run with an idea I’d had for a long time. 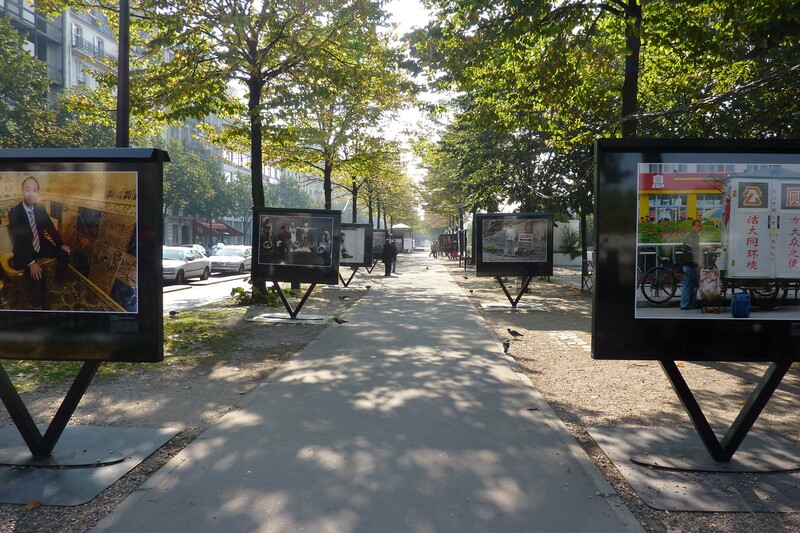 While in Paris last year I was thinking that a fun way to display photos would be to print them onto a strip of paper and attach them to the spool in an empty film can. You could then roll them up into the can and sell them as a set of photos. 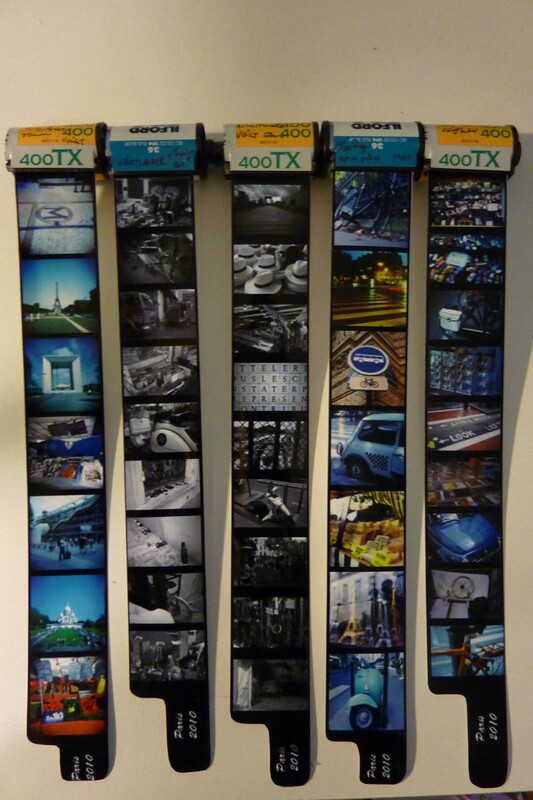 I ended up printing the photos on a sheet of 8.5×11 photo paper and then cut into 35mm strips. 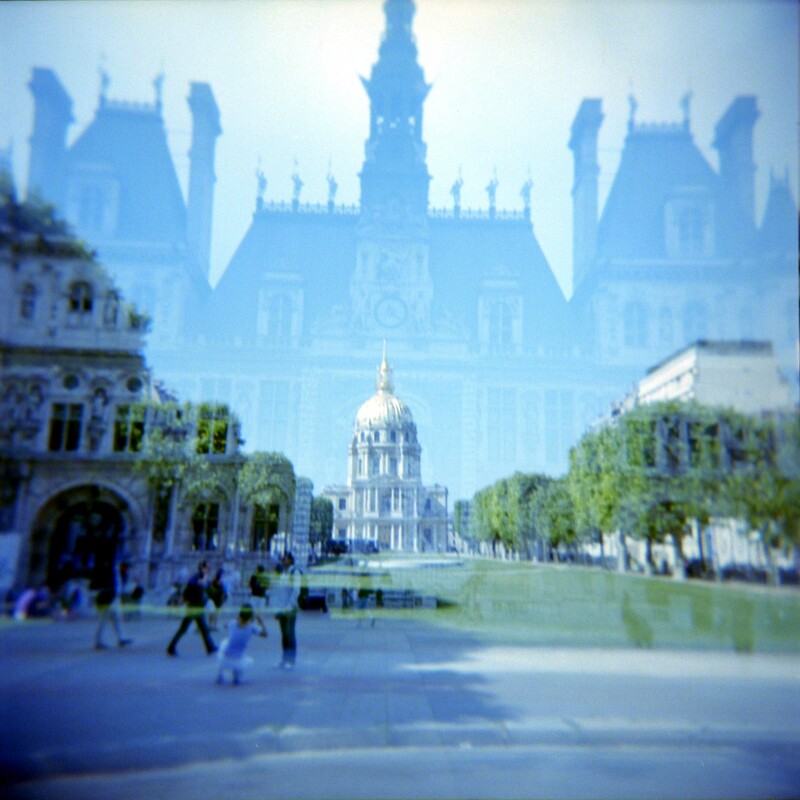 I fit 9 photos on a strip with a 2:3 ratio, and 7 with a 1:1 (square) ratio. Made the background of the strip black and typed the name of the set on the end of the roll. I then cut the paper to look like a film leader. I decided not to add sprocket holes as I thought this was a bit tacky. I like the effect, and I think it could be a really great seller on my Etsy site, but I’ll need to redo these. The dpi got screwed up in photoshop so the resolution is really bad. I’d also like to put a little more work into the photos used on each strip. 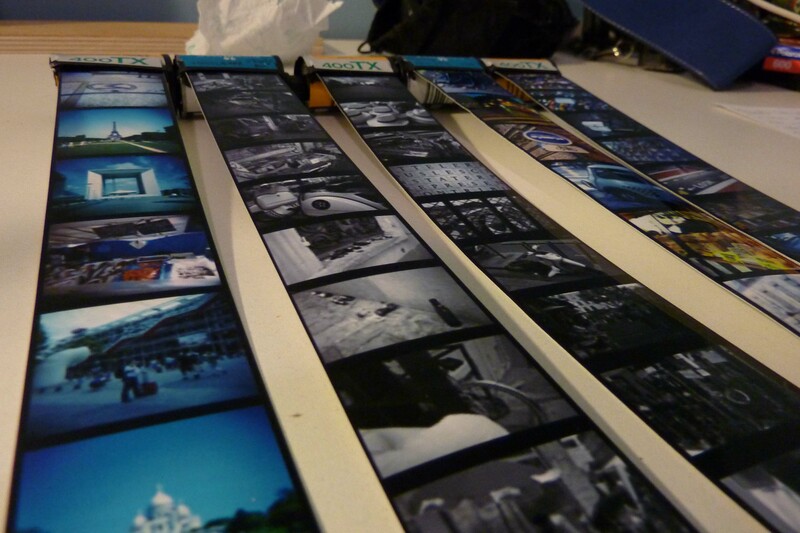 Right now they are sorted by camera and by colour/BW, but I’d like to give each “roll” a theme in the future. I think this would add strength of the photos. 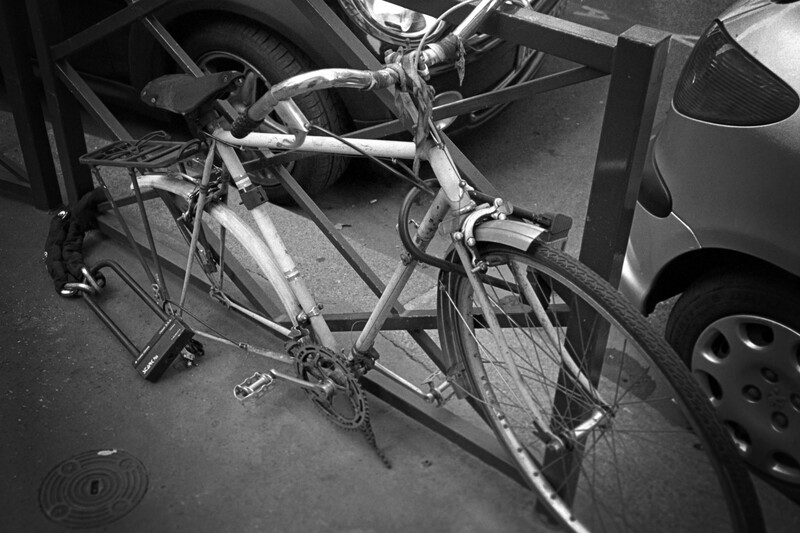 This week’s photo is from my “abandoned bicycles” series. It’s really quite sad to see all the once lovely bikes that have been left chained up, never to be ridden again. These bikes are all over Paris, and every few weeks the city crews go by with a pickup truck and cut them free, hauling them away to the dump. Some are bent, some are missing wheels, but all of them were once a great ride. Taken with my Agfa Optima on BW film. Added a slight vignette in PS3.